See scan – perfect condition. 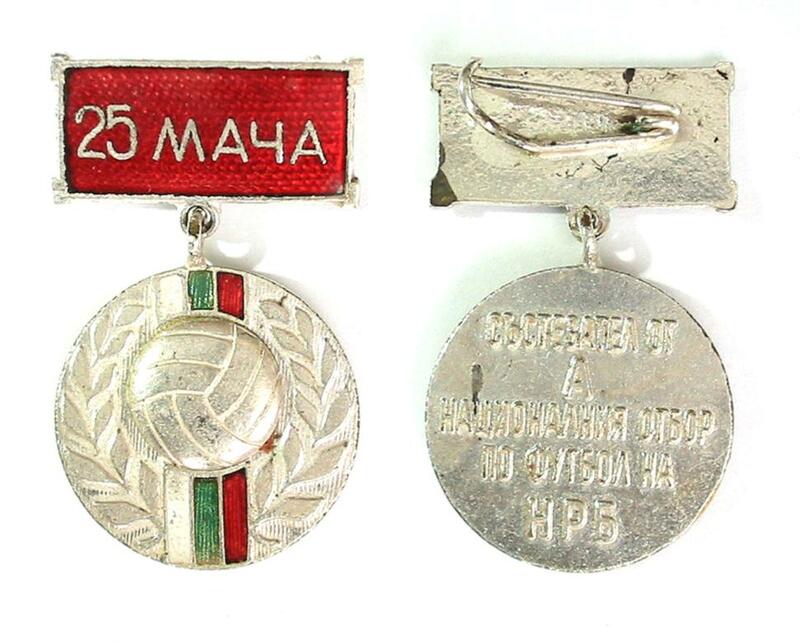 This is a nice and rare 1980s silver / silver plated medal awarded to National Team football players by the Bulgarian Football Federation for having played 25 games / matches in the Bulgarian Football Premier League or A-League. The medal has a nice red enamel clasp with text 25 Matches inscribed. Reverse has the text: PLAYER FROM THE ‘A’ NATIONAL FOOTBALL TEAM OF BULGARIA. Scarce and rare sports and football memorabilia collector piece and one of the rare real athlete Bulgarian football medals.